You’re never too young to help others! This is the message I wanted to give to my kids as we made breakfast in a bag for a food pantry, our act of kindness for kids. 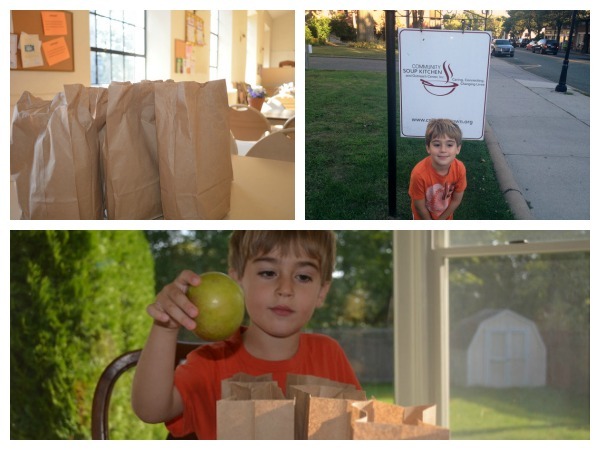 My kids are still too young to serve food, or even to help stock items our local food pantry, but I spoke with a local food pantry, who filled me in on an awesome idea: Breakfast in a Bag. All you need to do is simply put together a healthy breakfast in a bag, and bring it by in the morning to serve to the diners at the food pantry. I knew this would be a good connection for my breakfast-loving son. 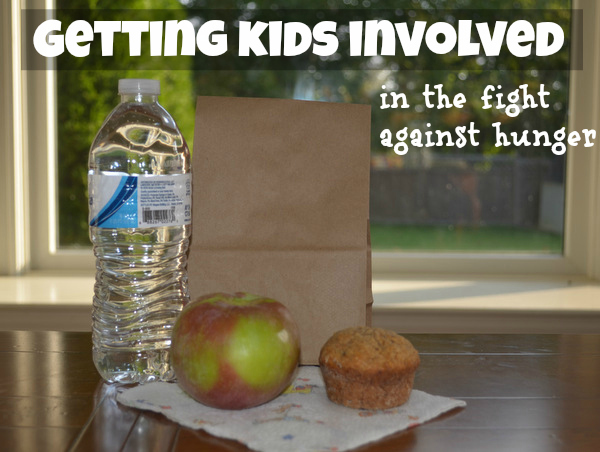 Each of our bags included: a freshly baked muffin, an apple, a bottle of water, and a napkin. I did the baking because it was for other people, and my 4 1/2 year old’s baking can still be, well, creative. Creating the bags: I laid out the supplies, and my son filled the bags. Carrying the bags into the pantry: this wasn’t anticipated, but my son wanted to help carry the bags in and unload them. We also talked about what we were doing, and the people we hoped to help. He said that next time, he wants to bring even more bags, so we can help even more people. It might sound silly, but in my own kitchen, well stocked after a visit the the farmer’s market and our grocery store, imagining life with my kids, without all that healthy food just seemed impossible. I thought about this as I baked the muffins, and I cannot imagine what those mothers go through on a daily basis. I want to do what I can to ease even just a bit of that burden. We also plan to get friends involved making these as well. Wouldn’t this be a fun playdate — that makes everyone feel good! 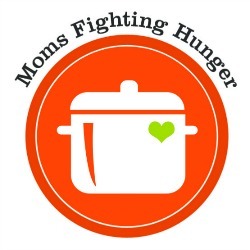 Be sure to check out other ways to get involved at No Kid Hungry.